Dr. Ron Riegel purchased his first therapy laser in 1979 and first infrared thermography unit in 1985. He co-founded AIMLA in 2009 to provide education on all types of medical lasers in both veterinary medicine and the healthcare professions. This educational entity has now expanded to include infrared thermography and regenerative medicine. His background in these technologies encompasses human (chiropractic, physical therapist, and athletic trainers, companion animals, and all the equine disciplines. In 1988 coursework was initiated for inclusion in the Human Academy of Neuromuscular Physiology which was completed and exam passed in 1989. This was the first Academy to clinically use infrared thermography in the human field. 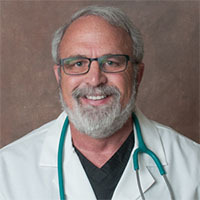 After selling his multi-doctor private veterinary practice, after 26 years of sole ownership, Dr. Riegel authored more than a dozen papers and books on companion animal and equine anatomy and therapy modalities including “Laser Therapy for the Equine Athlete”, “Laser Therapy in the Companion Animal Practice”, and “Clinical Overview and Applications of Class IV Therapy Lasers” (co-authored human text). In July 2016, as co-editor, a textbook on Laser Therapy in Veterinary Medicine – Photobiomodulation was completed and submitted to Wiley Publications. This text has 45 chapters, 31 co-authors and is over 300,000 words. It became available to the public May 25th of 2017. He has spent the last 2 decades lecturing nationally and internationally to human and veterinary healthcare professionals. Over the last three years alone he has given an average of 38 lectures annually including the NHL Hockey Trainer annual meetings, state and regional medical and veterinary meetings, and lectures in Japan, Dubai, Norway, Sweden, Denmark, UK, Canada, China and numerous universities. American Society of Lasers in Medicine and Surgery. Fellow since 2012. North American Association of Light Therapy. World Association of Light Therapy. See curriculum vitae for further more detailed information.